If you've never felt like music is the gift which keeps on giving then you are listening to it wrong. It would be very easy to listen to a band then spread the word about them and in the same way receive news about music you might not have heard yourself yet. What other art can be exchanged in such a way? Books, I suppose, in terms of authors and maybe even movies, but it just doesn't have the same effect with me as music. 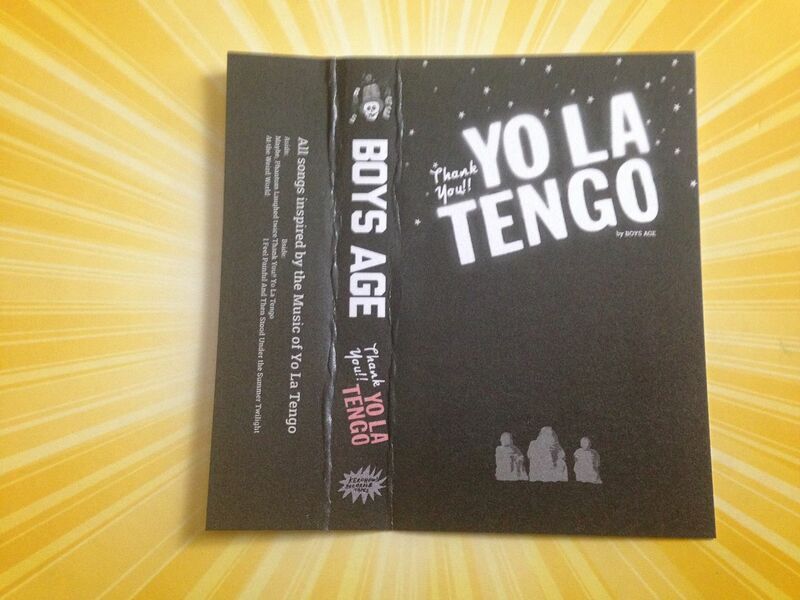 Proof of this is on this cassette as Boys Age says these songs are inspired by the music of Yo La Tengo. 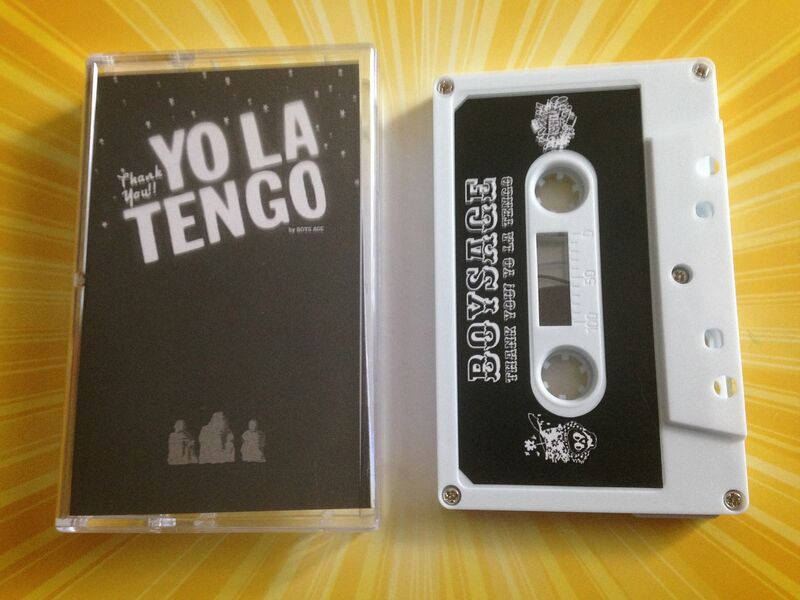 Whether or not you've listened to Yo La Tengo before, this cassette will likely make you want to listen to them. 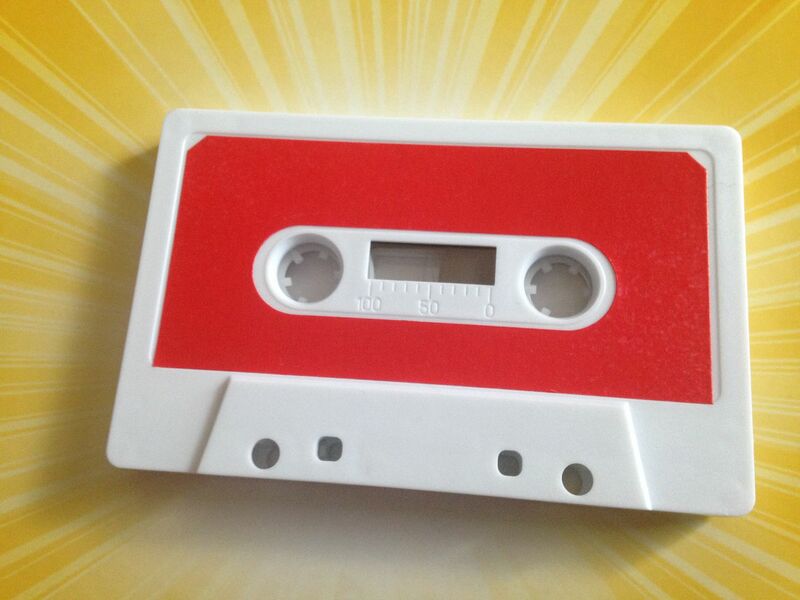 Listening to this cassette also makes me wonder not only what other artists I'd like to hear Boys Age create tribute cassettes for in this sense, but what other artists I would like to hear create tribute cassettes for other artists in a similar fashion. You could realistically create an entire label around that concept and release a cassette or two or four per month and I'd so be interested in hearing them all if the artists played out correctly. And I don't even feel like there have to be any straight out covers either. 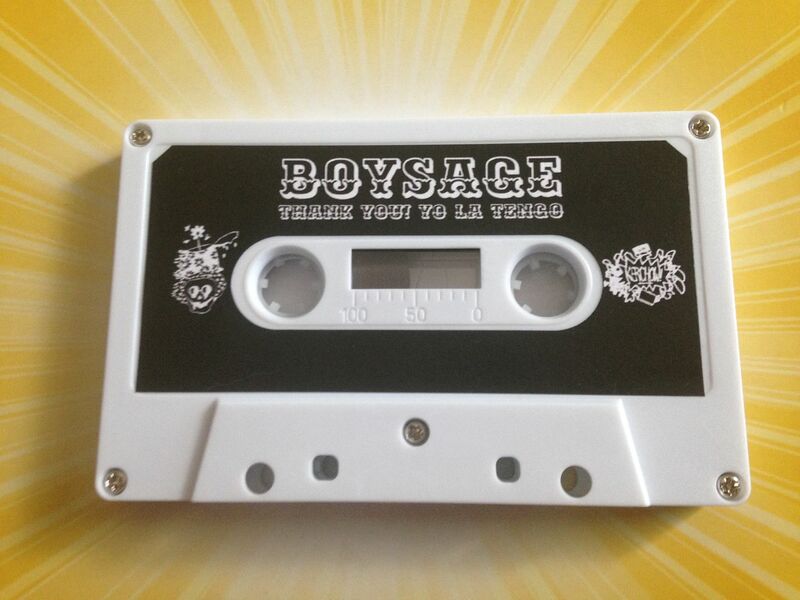 If you've ever listened to the music of Yo La Tengo (or simply give them a shot after hearing this cassette because you are a fan of Boys Age) then you will recognize the similarities here and the influence that the music of Yo La Tengo truly has on this Boys Age cassette. It has these eerie crashes and it can be triumphant, it can feel acoustic and electric at the same time. It's music over lyrics though it is not instrumental and it can become dreamy rock n roll as much as post-I don't know exactly what. Drum machines also make their way into the music by the end of Side A. On the flip side the songs become fuzzy, as the heavy distortion and melodies can remind me of something closer to Smoking Popes and it seems as if Boys Age takes the style of Yo La Tengo and begins to twist it more into the Boys Age style. 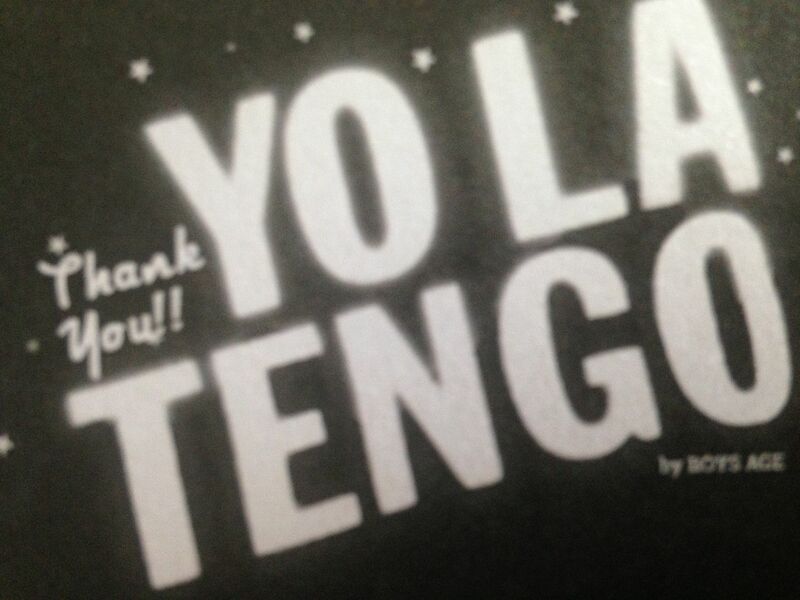 It felt like Side A was more of Boys Age covering Yo La Tengo, where as Side B felt more like the opposite of that-- if that makes any sense at all since no one is really covering anyone but Boys Age is just borrowing various elements from Yo La Tengo. 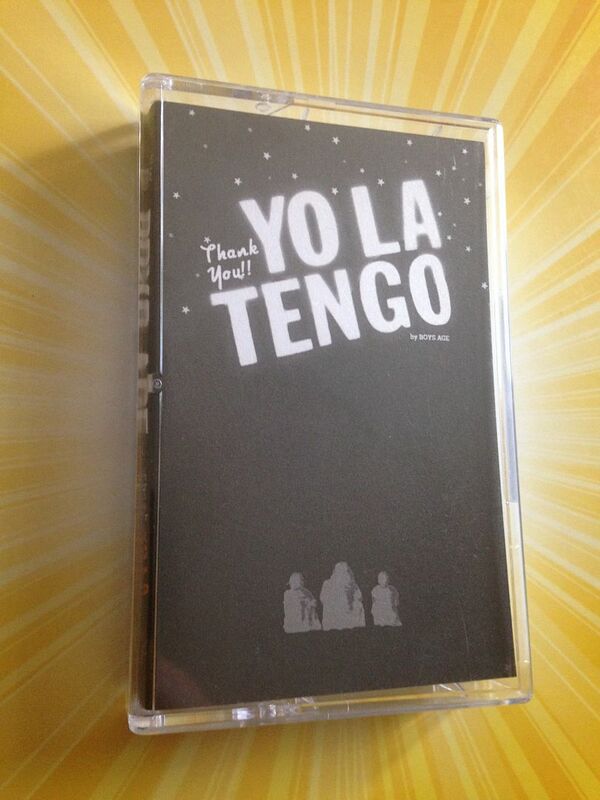 As much as I feel like this is one of those scenarios where you can be a fan of Boys Age and this music can turn you onto the music of Yo La Tengo, the fact is you could just as easily have someone who is a fan of Yo La Tengo and happens upon this cassette via a google search (or by even specifically searching for Yo La Tengo on Bandcamp, as I have searched for artists who are not on Bandcamp and have been lead to remixes and covers of their music) and that just makes this even more powerful because I believe if you are a fan of Yo La Tengo and are hearing Boys Age for the first time you will also become a fan of Boys Age.